While weather in the Greek Islands stays relatively temperate year-round, prime sailing dates for a Cyclades Islands yacht charter are between May and September. However, July and August also bring the Meltemi winds, which can create rougher surf, making it more challenging to navigate some greek yacht charter itineraries. An alternate itinerary when conditions aren’t favorable in the Cyclades could take you to the Saronic Islands. However, whether its history or partying you seek, there are plenty of opportunities for both within the Cyclades Islands. Considered some of the most beautiful and romantic islands in the world, the Cyclades have lured and enchanted visitors for decades. 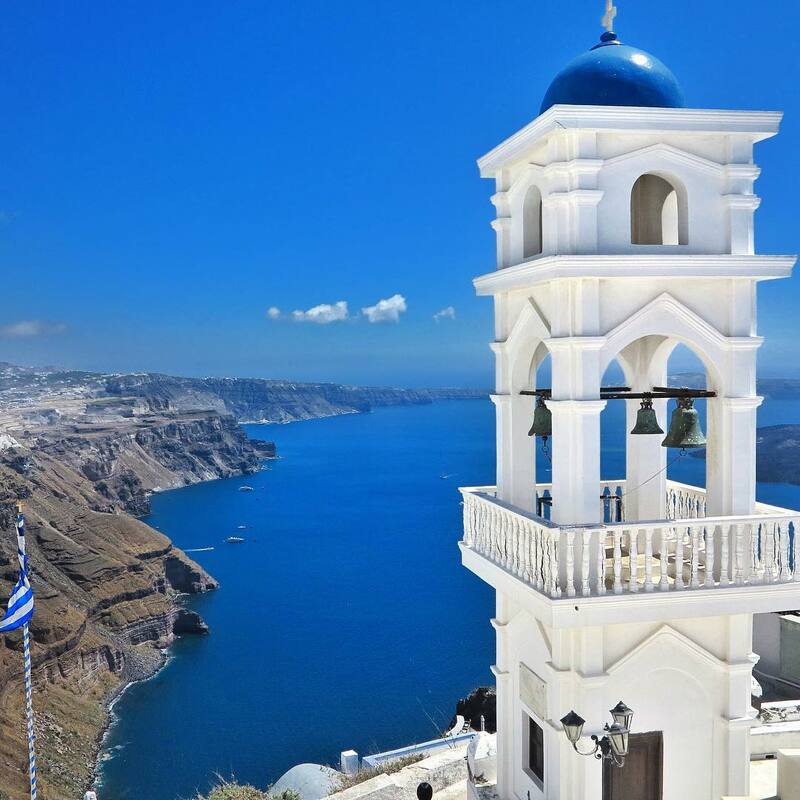 With ancient ruins, iconic white and blue buildings, and crystal clear, turquoise water, it’s easy to see why they’ve become a popular holiday destination within Greece. Kea Island. Photo by @katerinakatopis. Used with permission. 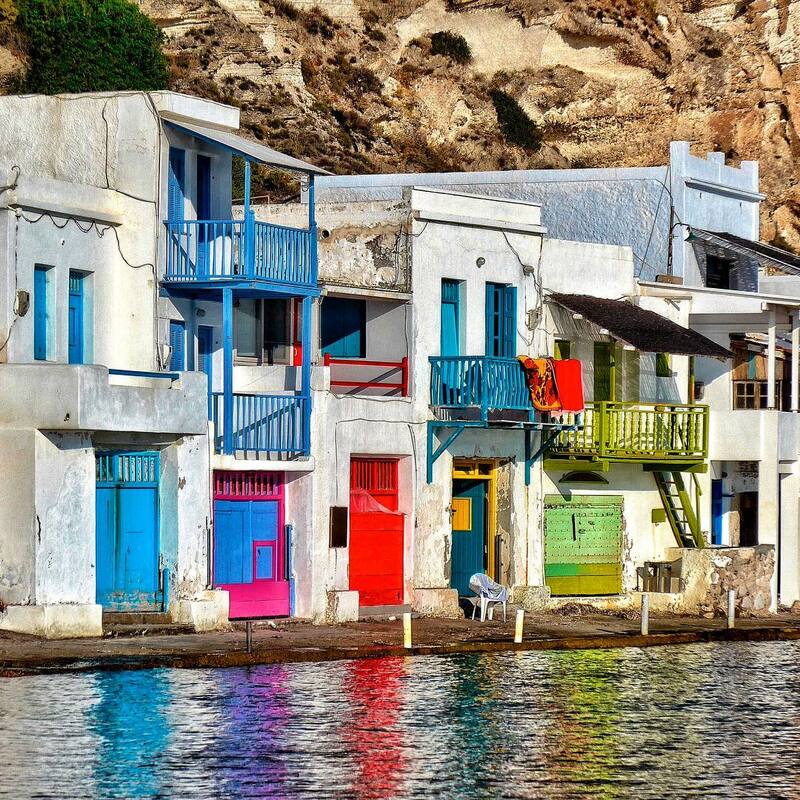 Although it’s the closest island to the Greek mainland, Kea often gets overlooked for the more popular Cyclades islands like Mykonos and Santorini. Nevertheless, it has its own merits. 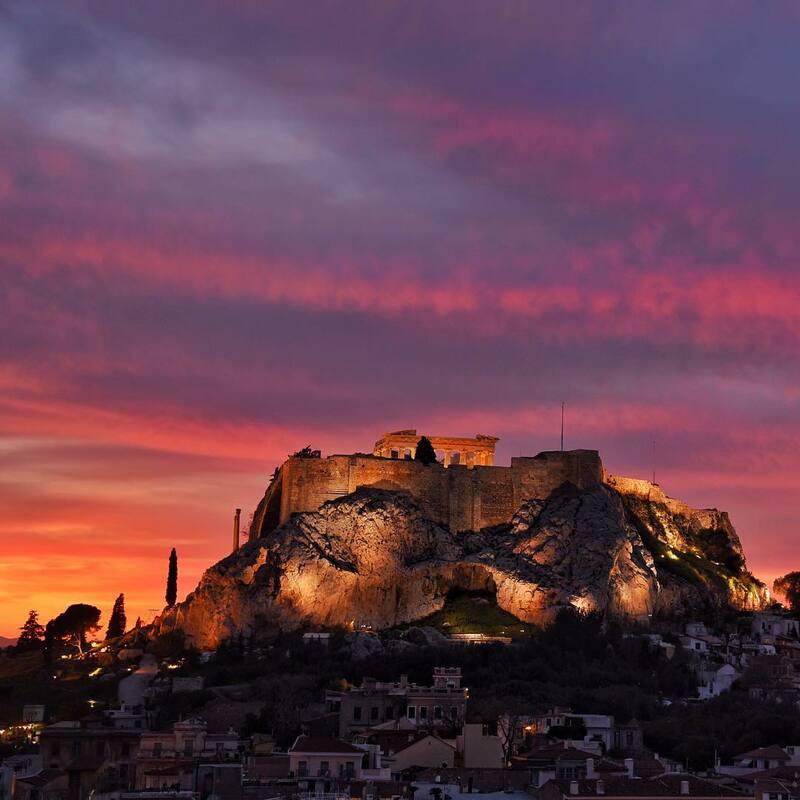 Upon arriving from Athens, you’ll find a church to the Virgin Mary built into a cave, ancient mule paths full of monuments, a neoclassical town hall, and the ruins of a medieval castle. Kea is full of fascinating historic sites to explore, including numerous shipwrecks just off the coast like the HMHS Britannic. Syros Island, Greece. Photo by @katerinakatopis. Used with permission. 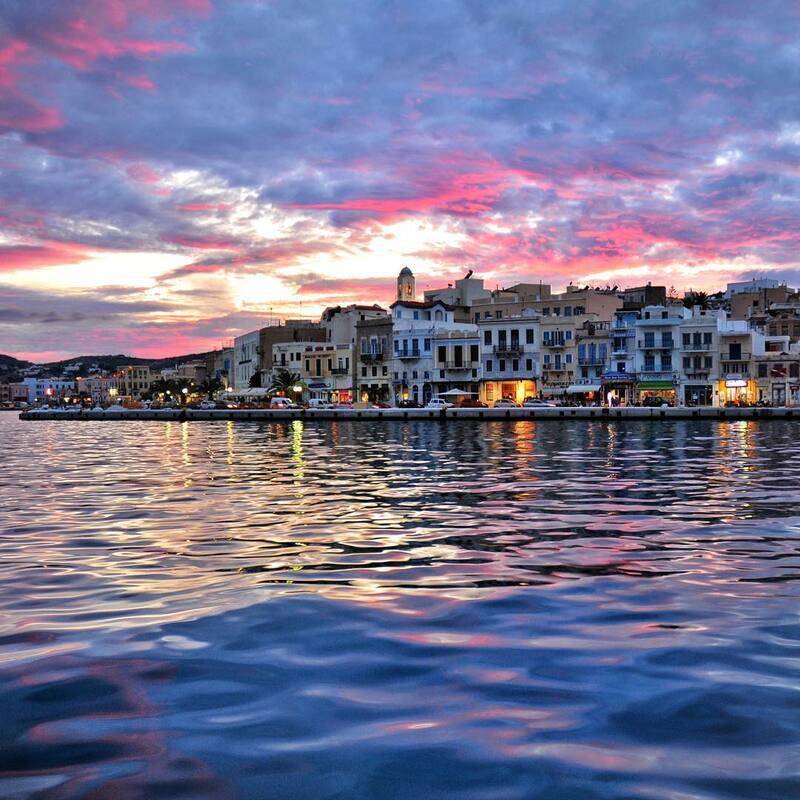 About 41 nautical miles from Kea, you’ll dock at Syros, which is home to the capital of the Cyclades―Ermoupoli. Vibrant with arts and culture, galleries and museums are found all around the main port, one of which showcases local, modern art in an old warehouse. Most of the action happens near the port and Miaouli Square, where you can dine al fresco before seeing live theatre or dance at the Italian-style Apollon Theater. Mykonos. Photo by @katerinakatopis. Used with permission. 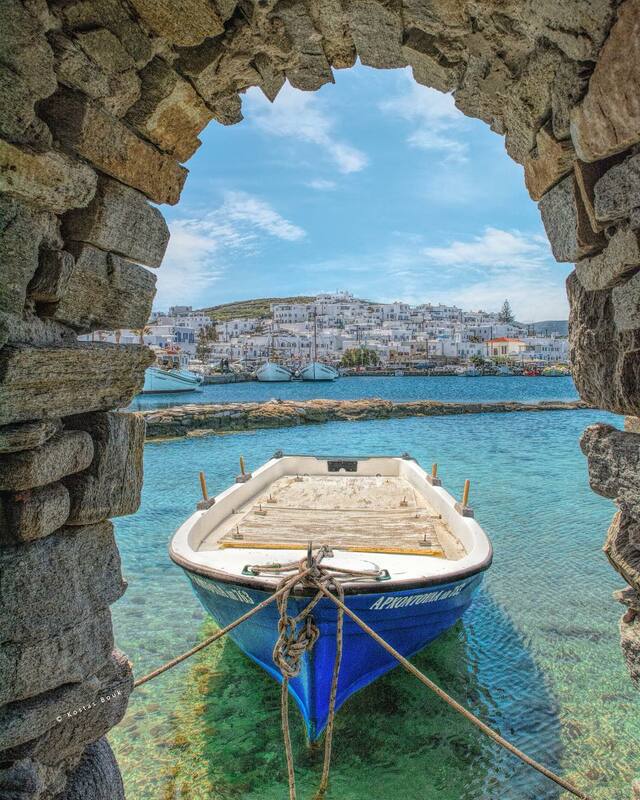 A feast for the eyes, Mykonos charms with its 16th-century windmills and blue-shuttered houses. As it so happens, the island also plays host to some of the best restaurants and nightlife in the Greek islands. Indulge in local delicacies and cocktails at restaurants like Nammos or Scorpios—sandwiched between lively, beach resorts. Nights belong to Cavo Paradiso, a two-story, waterfront dance club with an outdoor swimming pool that attracts DJs from all over the world. Naxos Island. Photo by @kostasboukou. Used with permission. 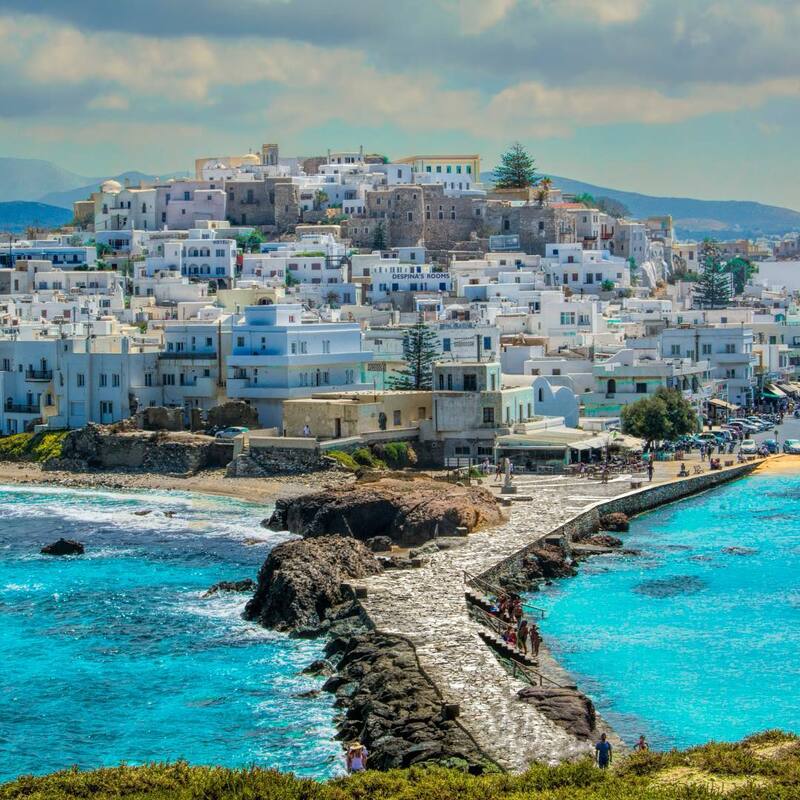 After presumably over-indulging on Mykonos, relax and take a load off in Naxos. The beaches here are plentiful (including three that have a Blue Flag designation) and perfect for water sports. Explore the cute, colorful alleyways of Halki village where you’ll find taverns, cafes, and preserved stone buildings from the Byzantine era. Tower ruins from various time periods are found all over the island, which at one time, were used to protect its inhabitants from pirates. Now they are tourist attractions, transformed into cultural centers and museums. Paros. Photo by @kostasboukou. Used with permission. 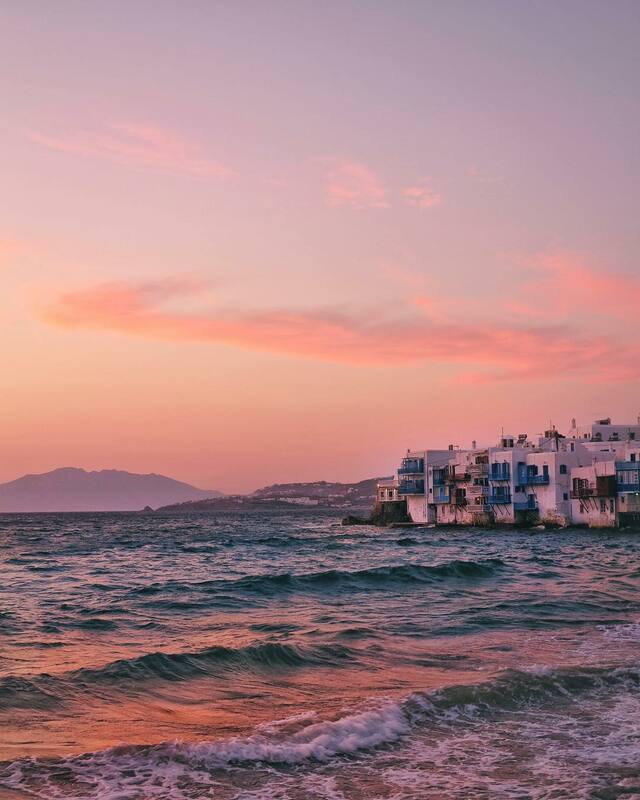 While Paros may not hold the same popularity and luster as Mykonos, it has just as much to offer in terms of culture and nightlife. The touristy, fishing village of Naousa is chock full of bars, restaurants, and cafes all along its tiny harbor. You could easily spend all day drinking ouzo and sampling fish dishes like grilled octopus and sun-dried mackerel here. While you could just jump from village to village, shopping, eating, and enjoying the slow pace of island life, you’re better off taking the time to explore Paros Park. There you’ll find beautiful beaches, walking paths, a museum, monastery, and plenty of arts and cultural events during the summer. Santorini. Photo by @katerinakatopis. Used with permission. Well known for its layered, whitewashed houses and blue-domed churches, Santorini’s beauty lies in its clean lines and stark minimalism. An ancient volcanic eruption left the island with black and red sand beaches, along with a crater, whose towering cliffs are a prime real estate for visitors and locals alike. Against the background of a multi-colored sunset, Santorini can seem like paradise come to life. You can explore the crumbling, ancient city of Akrotiri, an active excavation that’s open to the public; go for a tasting of Vinsanto (made from the local assyrtiko grape) at a local winery; or enjoy a romantic bite to eat in the village of Oia, overlooking the water. Milos. Photo by @katerinakatopis. Used with permission. Although its known as the discovery site of the Venus de Milo, there’s so much more to Milos than a single ancient sculpture. A former pirate hideout, Kleftiko Beach has a collection of interesting rock formations and caves you can explore by boat, which are perfect for snorkeling and swimming. Milos also has one of the most important Christian catacombs in the world near the village of Trypiti. There are even the ruins of a classic Roman theatre nearby, still in use today. Perhaps most interesting of all are the five major museums on the island, each of which tell a piece of the island’s rich history. Athens. Photo by @katerinakatopis. Used with permission. Steeped in history and mythology, numerous temples, crumbling ancient cities, theatres, and monuments are found all over the city of Athens. Most impressive is the towering Acropolis, with its Parthenon to Athena and several smaller ruins. For a taste of modern Greek culture, stroll down to the neighborhood of Plaka full of charming cafes and shops. 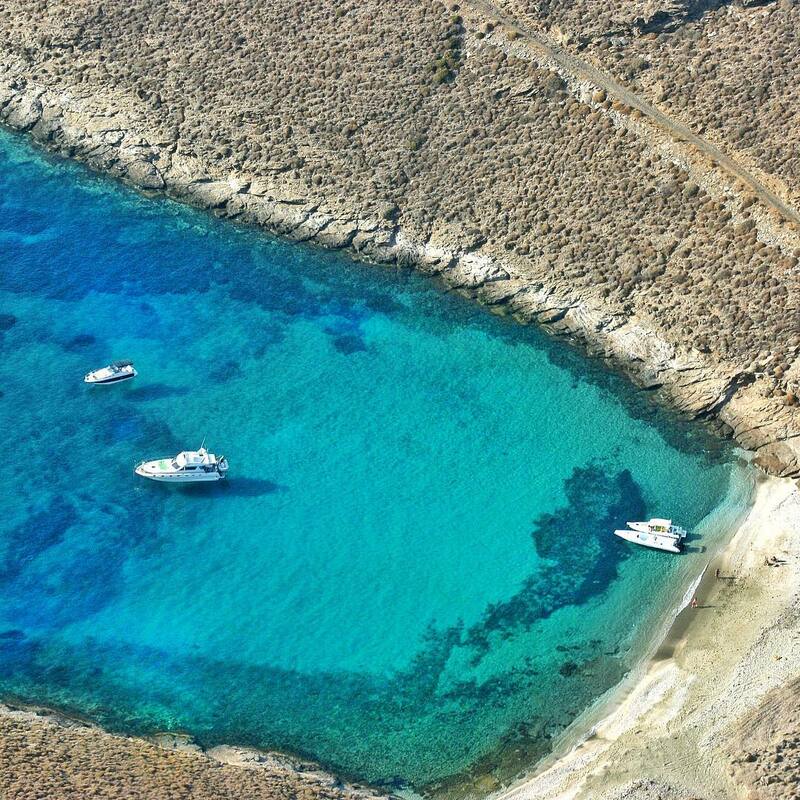 Inevitably, after taking a yacht charter through the Cyclades Islands, you may never want to leave. That’s why it’s so important you choose a boat that speaks to you. Check out our selection of monohulls, motor sailers, catamarans, and motorboats to find the yacht charter that’s right for you.